Pierer Industrie AG, the parent company of KTM, Husqvarna and WP Suspension, has announced that it will be investing over $9 million in NUVIZ Inc. 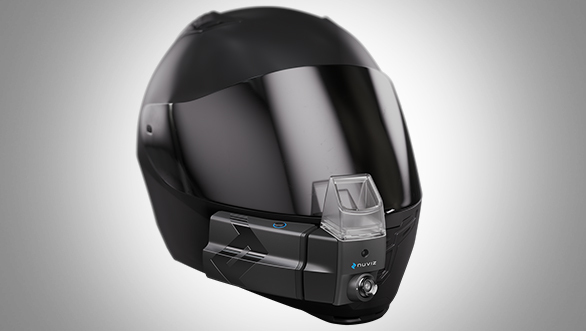 The latter is a San Diego-based start-up which develops head-up display technology for motorcycle helmets. The investment will be utilised by NUVIZ for product development as well as enhance sales and marketing. NUVIZ is scheduled to introduce new head-up display technology along with connected riding solutions in the first half of 2017. Apart from financial investment, Pierer Industrie AG will allow NUVIZ in developing strategies as well as marketing, distributing and integrating its products with KTM and Husqvarna motorcycles. NUVIZ is currently working on creating a global presence, especially since it is about to launch a new product. Commenting on the development, Stefan Pierer, CEO of the KTM Group, said, "NUVIZ is set to release one of the most anticipated motorcycle products of the year. We look forward to working with NUVIZ as they unveil new HUD and connectivity capabilities that stand to transform the motorcycling experience as we know it." Malte Laass, founder and chief strategic officer, NUVIZ, said, "We are happy to have found a partner with deep industry knowledge and expertise and patience needed to build a sustainable technology business." Founded in 2013, NUVIZ aims to become the leader in head-up display and connected software solutions for high-speed applications. The company has a research and development facility in Salo, Finland.